Doing its predecessors proud, the 2018 Volkswagen Golf GTI isn’t your everyday hatch. This streamlined road rocket offers a standard 220-horsepower 2.0L Turbo direct-injection engine to help maintain the GTI line’s reputation for next-level power. And while the latest GTI boasts a familiar profile, redesigned bumpers and available 18-inch Dallas alloy wheels make for a fresh look that’s destined to turn heads. Once you’re rolling, you’ll notice the GTI difference through an array of essential technologies that come standard, including electronic stability control, hydraulic brake assist, and more. 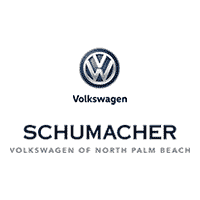 Explore the full feature list when you find a 2018 Golf GTI in North Palm Beach, Florida. Why the 2018 Golf GTI?